Falcon 9 lifted off at 5:21 UTC, 1:21 a.m. local time at Cape Canaveral after a very uneventful countdown and the typical express tanking sequence, filling the 70-meter tall rocket with over 500 metric tons of sub-cooled oxygen and chilled Rocket Propellant 1. 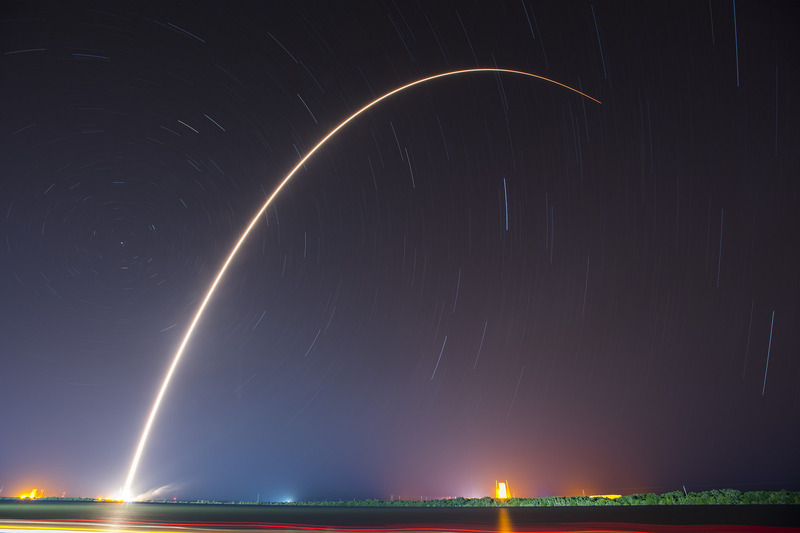 Lighting up clear night skies over Florida’s Space Coast, the vehicle quickly turned to the east-south-east to take the standard route towards Geostationary Transfer Orbit. The first stage of the vehicle burned for the expected two minutes and 38 seconds, accelerating the stack to a speed of Mach 6.83 and lifting the second stage to an altitude of 67 Kilometers. Four pneumatic pushers separated the stages three seconds after MECO with the second stage firing up its 95,000 Kilogram-force MVac engine and the fist stage starting to go through the motions for its adventurous return maneuver. 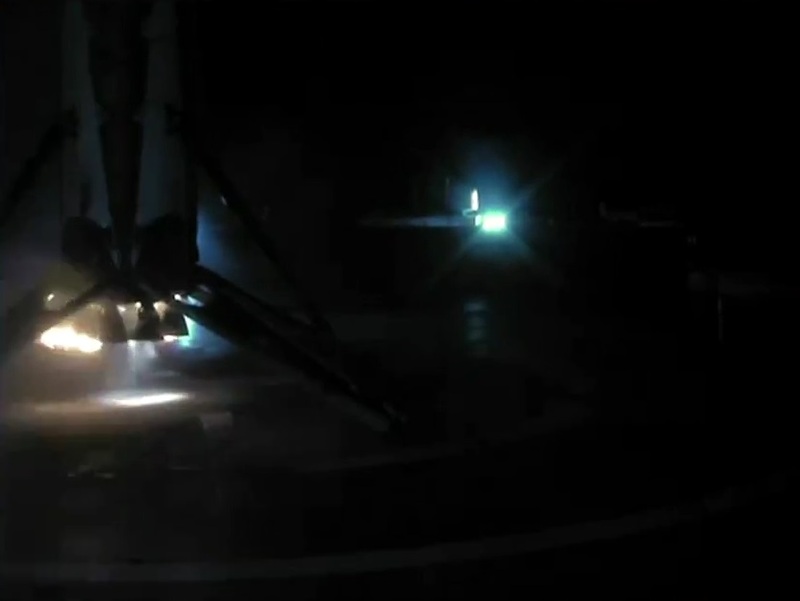 The second stage fired for six minutes and four seconds, successfully lifting the stack to a slightly elliptical transfer orbit for a coast phase of 17 minutes and 33 seconds ahead of the critical second burn. MVac re-started 26 and a half minutes into the flight and was tasked with a burn of 59 seconds to raise the high point of the orbit to Geostationary altitude near 36,000 Kilometers. MVac was commanded to throttle back towards the end of the burn to maintain an acceleration of 5Gs. 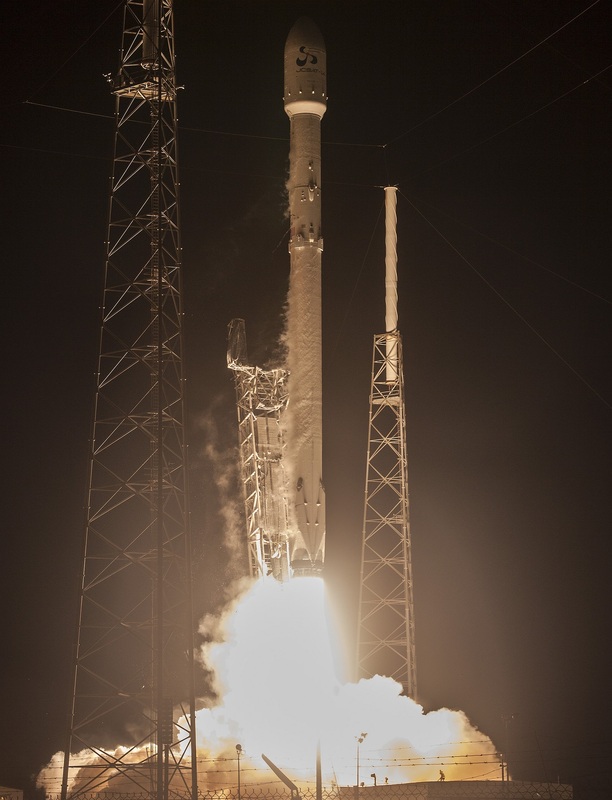 As orbital data now shows, Falcon 9 devoted surplus performance to a reduction in orbital inclination by about four degrees – explaining why the first stage fired two seconds longer than in the SES-9 mission and the planned second stage burn duration was 11 seconds longer while the JCSat spacecraft was around 600kg lighter than SES-9. 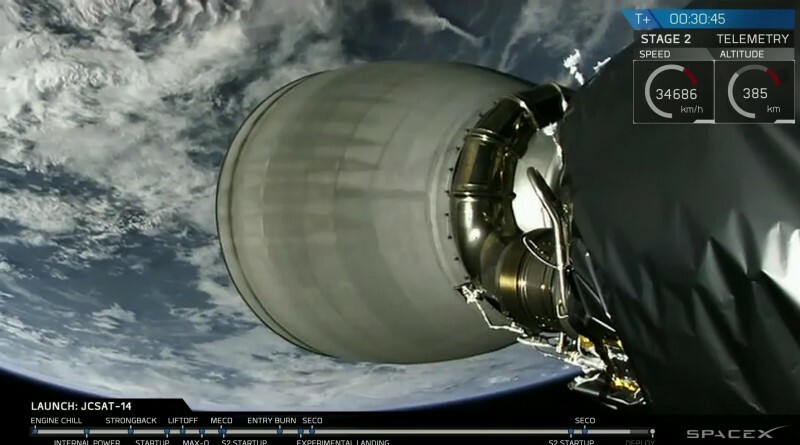 Impressive video of spacecraft separation was downlinked in real time from the second stage when the JCSat-14 satellite was sent on its way 32 minutes after liftoff. A good view of the receding Earth was provided after spacecraft separation, illustrating how quickly the vehicle was climbing, having arrived in its highly elliptical target orbit. 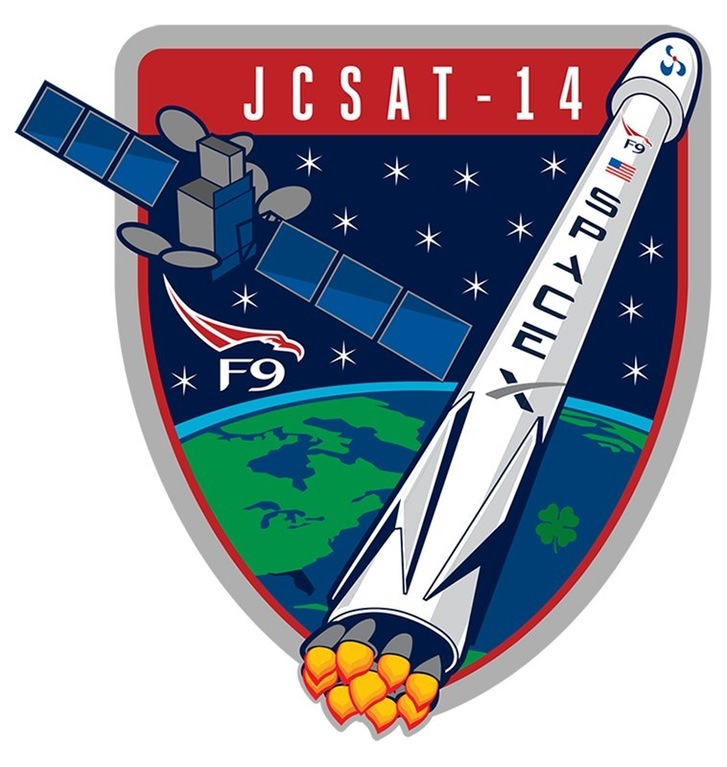 Having arrived in an on-target orbit, the JCSat-14 spacecraft quickly initiated communications with ground stations and its manufacturer, Space System Loral, confirmed the satellite was healthy after its ride into orbit atop the Falcon 9 rocket. 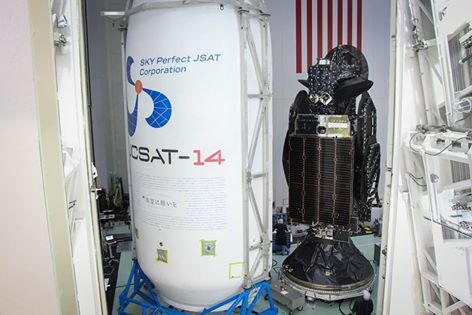 Orbit-raising will begin in the coming days to maneuver the satellite into its slot at 154°E in Geostationary Orbit, replacing an aging satellite within JSAT’s fleet. While the second stage continued on towards orbit, the first stage was tasked with its high-speed return to Earth, highlighted by a blazing re-entry and a do-or-die landing maneuver involving three instead of one engine. Because of the tight propellant margins for a mission to GTO, the booster was not able to make a braking or boost-back burn, continuing on a ballistic arc after stage separation. To set up for re-entry, the vehicle flipped around to an engines-first position and settled the propellants in the tanks by using its cold gas thrusters for the ullage burn. At re-entry, the stage fired up a subset of its engines to slow down and shield its engine section, though the 15-second burn only slowed the booster to 2 Kilometers per second compared to around 1km/s when returning from a Low Earth Orbit mission with boost-back maneuver. Flying through the atmosphere, the booster used its four actuated grid fins to fly out any errors in the along and cross-track directions to reach the proper position for the landing maneuver. Three of the nine Merlin 1D started up just seconds before landing, rapidly slowing the descending stage with a high thrust to weight ratio. The three-engine maneuver cuts precious margins from the landing in terms of trajectory correction capability, but also reduces gravity losses arising in a much longer single-engine burn. 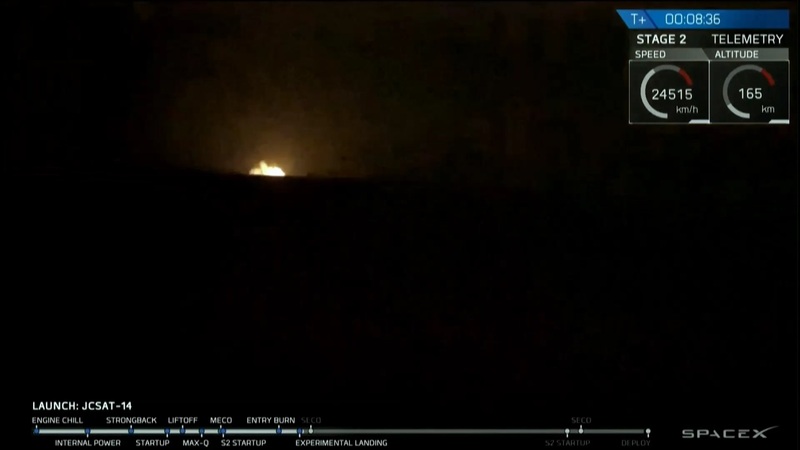 Landing leg deployment occurred moments after the engines started for the landing burn and video from the ASDS support vessel showed the closing seconds of the booster’s flight. 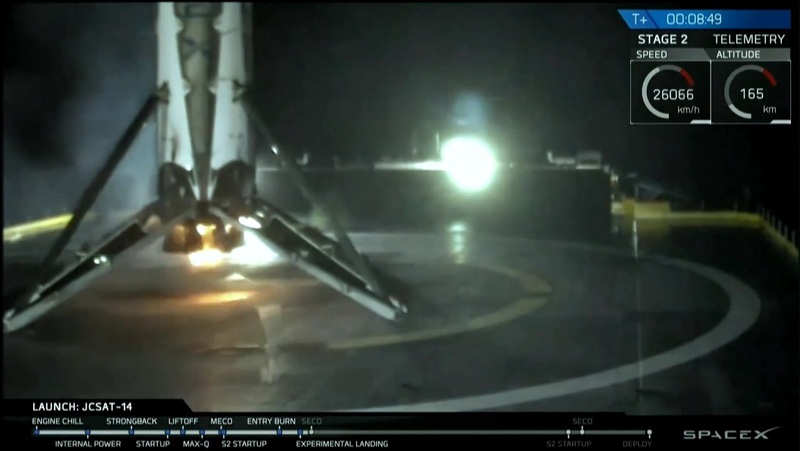 The two outer engines shut down around five or six seconds prior to touchdown, allowing the booster to complete the last leg of the descent under the power of its center engine alone to achieve the required landing accuracy. The booster touched down in the center of the landing platform at T+8 minutes and ~35 seconds. Initial safing of the stage was to be performed remotely before teams board the Drone Ship to secure the rocket and begin a multi-day trip to Port Canaveral. When the ASDS is expected back in port has not been announced yet, though SpaceX will have to negotiate around a regular cruise ship schedule and is likely aiming for a larger gap in the port’s schedule. Elon Musk did not yet share plans for this returned stage. 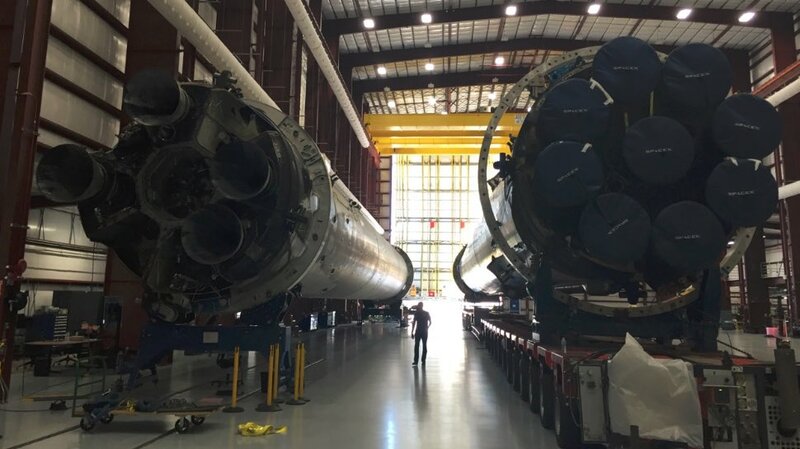 SpaceX engineers will be eager to inspect the condition of their rocket after going through a particularly hot re-entry environment to see whether components have to be reinforced to allow vehicles to be re-flown with minimal refurbishment and maintenance. 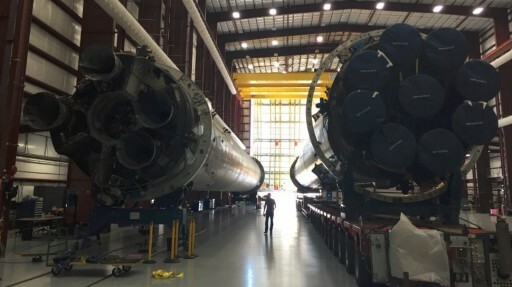 SpaceX currently has three recovered boosters in its inventory – the OG2 booster that landed at Landing Zone 1 in December and is set to be put on display outside SpaceX Headquarters, the Dragon SpX-8 booster that became the first to make a successful landing at sea and will go through extensive static fire tests before being re-flown, and the JCSat-14 booster currently en-route back to shore. 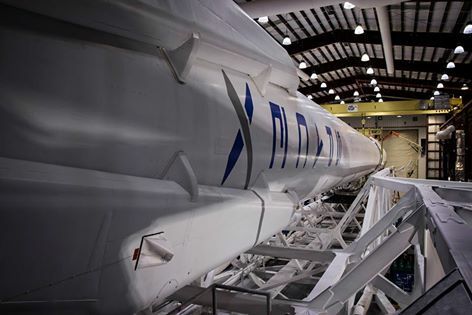 The next SpaceX mission will lift the Thaicom 8 satellite which has a launch mass of under 3,200 Kilograms and is likely aiming for a Supersynchronous Orbit, providing another opportunity for a high-energy landing attempt.